Star bridal halo. Haematite star halo. Star bridal wreath. Bridal accessories. A handmade bridal halo perfect for the modern bride. 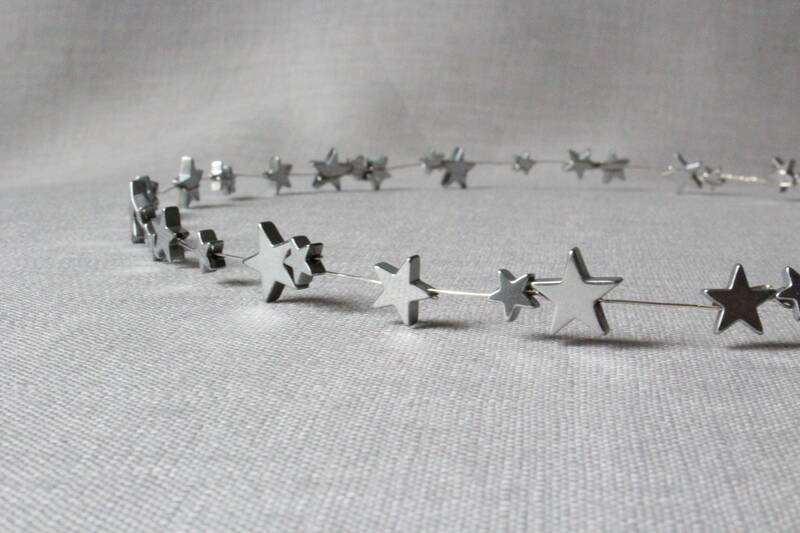 Haematite stars of varying sizes are woven together with silver plated wire. Perfect addition to any bridal look. This halo will be made to measure so when ordering please include head measurement of where you wish to wear the halo.